Yesterday I mentioned optimizing your books’ visibility by examining your sales and how your books are categorized. You may be invisible in a large genre category, but if you can drill down and pinpoint an appropriate category you could make your book a bigger fish in a smaller pond. In a category that is too general, you’re in a sea of books and harder to find. But don’t just look at the stats and numbers Amazon supplies at Author Central. There’s much more you can do. Let’s go further than the usual cursory glance at graphs, numbers, green up and red down arrows. Micro-publishers are often told that ebooks are the crux of our business and that’s where our focus should be. I agree that’s true in general but that doesn’t hold true for all books. The why is just guessing and doesn’t matter, but the what is significant to me. It tells me the revamp and reload I’m planning for Self-help for Stoners (also discussed in yesterday’s post) is worth my time. A new edition in paper will be worth the effort. The same thing is happening with my writing and publishing guides. I’m sure this is so because they are reference books. According to a recent study, students still prefer paper reference books to ebook texts. Since they sell better in paper than ebook form, I plan to reformat Crack the Indie Author Code and Write Your Book: Aspire to Inspire. From your sales page topped with your author bio, click through to see what’s selling under the “Customers Also Bought” list. We spend a lot of time, energy and free giveaway days trying to get on this list on other author’s sales pages to increase our books’ visibility. When Self-help for Stoners came out, over time it became clear that readers found me through my connection with director Kevin Smith. On the Self-help for Stoners sales page, Amazon still has my book paired with his book, Tough Sh*t, under “Frequently bought together.” However, on my main sales page, Kevin’s not on the author list anymore (discussed in #4). I noticed him dropping away as other authors took his place. If your book is paired with another author’s, you could work together to promote both books, either through advertising together or doing a podcast for mutual benefit, for instance. If the same authors turn up consistently over time, that’s a stronger indication you share a common niche and audience. The Guy Kawasaki occurrence here is no doubt because he just came out with APE and that’s the identical reader demographic who would go for my Crack the Indie Author Code and Write Your Book: Aspire to Inspire. How is this useful and what does it tell you? Thinking about the authors on your page could give you an idea where your readers are coming from. For instance, if you did a blog tour and soon noticed a familiar author on your sales page list, it would serve you well to guest blog for them again or host them on your blog. It’s rare in book marketing that we can identify a causative marketing solution. That’s positive feedback that is actionable. (Is “actionable” too jargony?) Usually, when we see our sales go up and down, we can’t link it to a particular event. For instance, maybe your sales today came about because of a recent press release or maybe it was that giveaway you held two months ago. Who knows? Establishing causal relationships between promotion, publicity and sales is rare unless you’re doing a measurable campaign (like a rewards program, for instance.) Whenever you can identify something that worked, do it again! I know a couple of authors on my “Customers Also Bought Items By” list personally. I suspect they show up here because they’ve been kind enough to promote me. I’m especially pleased to see Chuck Wendig on this list. I don’t know him. All we’ve exchanged are a couple of funny tweets and I’ve read a couple of his books. However, we both wrote funny writing advice books, so that’s undoubtedly the common audience. From what I know of the other authors, it suggests to me that I’m hitting male readers somewhat. I reach writers who read about writing and publishing, of course. However, from that list, I suspect most of my readers are female, between thirty and fifty-six, well-educated and into suspense with romantic elements. It’s my crime novels in the Hit Man Series that will make the splash with most of them. I want to know who reads my stuff so I get more ideas about how to reach them. That helps me target book reviewers who have demonstrated that they tend to like similar work by authors on my “Customers Also Bought Items By” list. It might also help me choose which blogs to apply to for a guest post. If the authors on this list have already guest blogged there, that’s a clue. I might also request guest blog spots from some of the authors on the list directly since we already have readers in common. This awareness is most helpful by finding those authors most like you. Watch success and emulate it. What might I learn from these authors whose audience overlaps with mine? I could learn a lot from figuring out where my fellow authors appear, which book reviewers adore their flavor of madness, how they handle their blogs, their book releases etc.,…. I loved Stephen King’s On Writing, but as much as my Maine town has in common with Derry, I can’t learn much from him about reaching new readers with a shoestring book promotion budget in the New World Ebook Order. In the author hierarchy, Mr. King is on a distant planet from little old me. Authors closest to me talk my language and we can relate to each other’s problems. Don’t avoid engaging your audience by relying on numbers and conjecture. The real fans will tell you what they like best (and, if polite, let you figure out what they liked less by simple deduction.) I don’t write what I’m told to write, but I listen. Readers have told me that, after reading the Poeticule Bay short stories, they want full novels about the creepy town in Maine everyone wants to escape. That bumped it up on my priority list. Others have emailed to request that I please get to that dystopian thriller with the autistic protagonist I mentioned once. I’m on it. Thank you for your encouragement and support as I prioritize what comes next from Ex Parte Press. Love acknowledged and that said, I write what I’m inspired to write. This analysis is to figure out how to be found by more people, not to figure out what to produce before I’m found. I’m not interested in identifying my audience so I can try to write for, or pander to, any one demographic. That’s artificial and would yield sub par results (at least in my case.) I write for myself first and hope others enjoy what I enjoy. The writing, insulated from any audience but one, comes first. This analysis gives me ideas about how to help readers discover my books once I unleash my mind viruses upon the world. In art (or Art, if you prefer) the customer always comes second. I don’t chase markets. I stay true to my vision. The market will chase me…eventually. 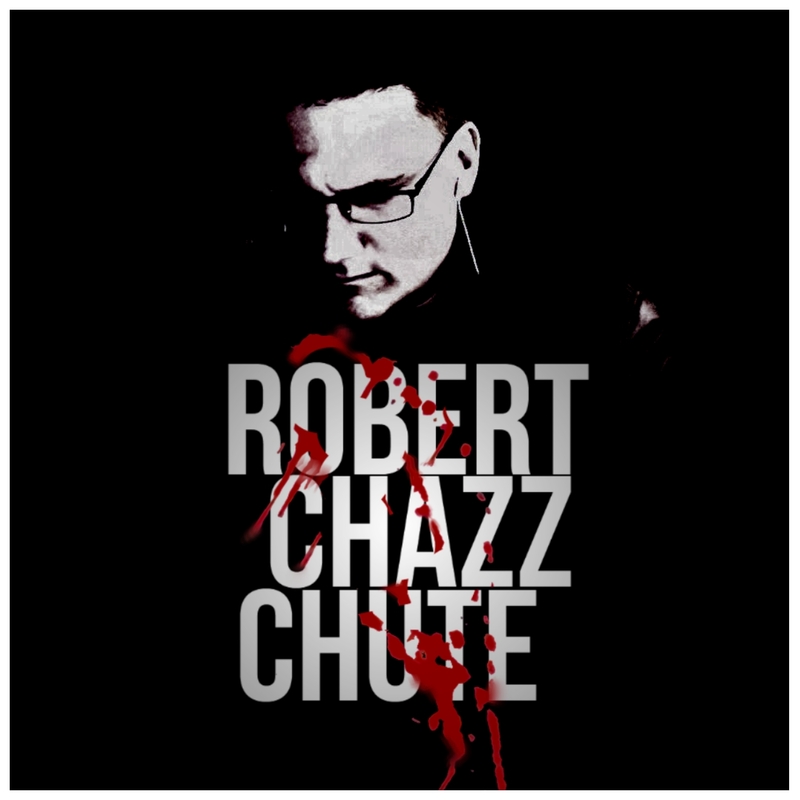 ~Robert Chazz Chute writes blog posts that are way too long. He even (by Thor!) writes about himself in the third person in that little bio thingy at the end of blog posts. He’s also the nut behind the All That Chazz Podcast. But perhaps, if you aren’t allergic, he’s your kind of nut. Find out at AllThatChazz.com. Great post. I’m teaching a self-publishing class at a local community college and this is a piece I haven’t touched on, so thanks for the tip/reminder :). Best of luck to you and if you ever want to trade guest blog posts, I’d be interested. Thanks very much, Renee. I’m up to my alligators right now, but I’ll definitely keep you in mind for the near future. Cheers! I’m curious about those other readers: The ones who’ve never touched my genre but might enjoy reading it. How do you hook up with them? I ask this because I’d never read a crime novel before I read Bigger Than Jesus and it didn’t cause me to go on a spending spree for other author’s crime novels. I’ve had e-mails from people who never tried Historical Fiction before they read Yassa and found they loved it. Where do those readers come from? I found mine quite by accident via an auction. I got your book because we met via the author blog challenge. How to be everywhere at once? Especially those of us that have no set genre. Great post. My wheels are turning now. WRITE ON!